Do you have a passion for sporting events? Thrive in a fast paced work environment? And have an interest in how technology is evolving the events we race in? 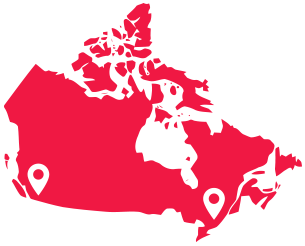 Race Day Timing Services is actively expanding to new cities around Canada. If you are interested in joining our team and learning more about our innovative timing solutions then contact us today. Delivered to your mobile device on the go, get live split times, social media updates. All the equipment you need. All of our contracts include a LED race clock and tripod. Extra race clocks for split lines can be rented. Brand your results page with your event logo, colors, and sponsor images. Spectators can track participants either by name or bib # and then watch the race unfold on their computer or mobile device.